There is no denying that Hawaii is a truly enchanting place: stunning sunsets combined with an eternal blue ocean view can bring peace to just about anyone. Where else can you watch molten lava hit the ocean’s surface in a magic mist? Blessed with one of the most pleasant climates in the world, Hawaii is a safe and beautiful place to book rental properties for a trip with friends, a family-friendly vacations, or a romantic getaways for two. The average temperatures across Hawaii range from 80 to 70 degrees (27-21 Celsius), so there is never a bad time to visit the islands. Hawaii’s islands offer visitors a unique and worthwhile experience, so whether you are in search of world-class leisure or an all-out adventure, you will not lack for things to do and places to discover. Scheduling surf lessons or private beach yoga sessions, planning a day of solo snorkelling, or even going on a helicopter tour are all par for the course when you choose to treat yourself to a Hawaiian vacation. A wide selection of high-end boutiques and quality restaurants can also be found on the main Hawaiian Islands. There really is something for everyone. The Island of Hawaii, also called Big Island, is a volcanic island with an area of 4028 square miles (10,430 km2), larger than all the other Hawaiian Islands combined. Hawaii is said to have been named for Hawaiʻiloa, the Polynesian explorer known for discovering it. From active volcanos to cliff-side waterfalls, to black sand beaches, to stargazing from a snowy mountaintop, Big Island offers visitors an incredible variety of attractions and is a great base for your luxury vacation home away from home (view our Big Island luxury villas to get started). Big Island’s historic Kailua-Kona is also known for its abundant activities including whale watching, deep-sea fishing, and tours of Kona coffee farms. You can even visit the popular Hulihee Palace (the former vacation home of Hawaiian royalty) from one of our nearby Kailua-Kona luxury villa rentals. Hawaii’s second largest island, Maui, nicknamed the "Valley Isle" after the numerous large valleys carved into both mountains, is home to the Kapalua Coastal Trail, the site of several spectacular beaches, and the Molokini Crater, a snorkeler’s dream, as well as world-class golf courses. As far as luxury vacation rentals in Hawaii go, Maui is a beautiful choice for a laid-back island vacation thanks to its lovely, private villas. 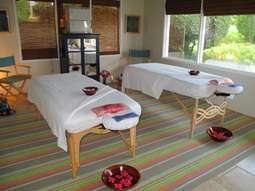 Visit our gorgeous Rental Escapes luxury vacation rentals in Maui to start your island vacation. Oahu, also known as "The Gathering Place" is the third largest island in the Hawaiian Island chain and is home to the city of Honolulu, as well as to some of the best beaches and historical attractions in the world. Well-known attractions on Oahu include the beachfront neighbourhood of Waikiki, the site of Pearl Harbour, the volcanic tuff cone of Diamond Head, and the North Shore surfer’s haven where families and honeymooners alike enjoy beachfront homes surrounded by waterfall-caressed mountains. To be close to all the action, choose from our magnificent luxury vacation rentals in Hawaii's beautiful Oahu. The fourth largest of the Islands, Kauai, is one of the wettest places on earth. The eastern side of Mount Wai'ale'ale averages 460 inches of rain per year, which has carved deep depressions in the central mountains to produce some of the most breathtaking waterfalls in the world. Explore the Na Pali Coast and Kalalau Trail, or hike through Waimea Canyon. Getting to know the fabulous beaches is also a must. Check out our selection of stunning Kauai luxury villa rentals for an unforgettable trip to this popular holiday paradise. The Hawaiian Islands are home to many champion chefs who will cater to your every request, such as finding the finest local seafood and produce, or organizing any food service you request. No matter which island you choose to rent your next luxury vacation rental on, Hawaii is a destination known for its delicious cuisine and exceptional chefs. Choose to have one or more personal chefs work their magic from within your luxury home, or explore the numerous top-tier restaurants. No matter your preferences, great food is not hard to find. For high-end Thai cuisine, visit Chef Chai in Honolulu's Kakaako region. When on Maui head to the gorgeous West Maui beachfront for Merriman's Kapalua, which offers up an award-winning farm-to-table menu. Exceptionally satisfying restaurants are never hard to find on Oahu, and on the Big Island, the award-winning Pahuia restaurant is great for romantic sunset dining. Visitors travel to and from their luxury villa rentals in Hawaii as well as from island to island by way of quick flights. Luxury private flights to and from the Hawaiian Islands are available through numerous companies offering exclusive and first-class service. Monarch Air Group and Jet Charters, an aircraft operator based out of Fort Lauderdale International Airport, offer private jet charter flights to and from Oahu, Kauai, and three airports on the Big Island including Hilo, Kona, and Waimea-Kohala. Paramount Business Jets offers several options for Oahu and Maui airports with your choice of aircraft, including the popular Gulfstream IIB and Challenger 604, and they offer discounts of up to 75% on one-way and empty leg flight listings. However, wherever your luxury vacation rentals in Hawaii are located, and whatever unique trajectory you have planned for your luxury vacation getaway, Rental Escapes’ friendly concierge service will assist you in finding and booking exactly what you are looking for to create as rich a luxury holiday experience as possible. Whether you prefer being beachfront with an amazing ocean view, your own private pool, or something else altogether, our villa specialists are here to curate your perfect vacation and see to it that you and your loved one's’ personal preferences are satisfied. Let us enhance your vacation experience by arranging any number of special services such as the personal chef service, pre-stocking groceries so you have supplies upon arrival, housekeeping, a private chauffeur service, party-planners ready to make your vision a reality, massage therapists, private surfing lessons, and much more. Our goal is to create the ideal personal environment for you. Before you even set foot inside your luxury vacation rental in Hawaii, Rental Escapes will make sure you have all you need to enjoy your holiday to the fullest. Tipping culture in Hawaii reflects tipping culture in the US as a whole. At a sit-down restaurant or a bar, a 15-20% is generally expected, unless a gratuity fee is added to the bill (not to be confused with a service fee, where tipping is still expected), which generally occurs for groups larger than 15. A 15% tip for taxi drivers is appropriate. Bag handlers should be tipped $1-$2 per bag. For fully-staffed Hawaiian villas, a tip of 10% of the rental stay is appropriate and is split among the whole staff. For periodic or daily maid service only, a tip of $20-$30 per day, split between the cleaning staff, is appropriate (more staff generally means a higher tip). Tips are expected in US dollars, cash.